The Office of The Judges of Compensation Claims and The First District Court of Appeal were busy this past October. With important and noteworthy decisions and opinions, we are happy to provide you with NFN’s Take – an e-newsletter breaking down the latest happenings of the courts and what the team of Neret, Finlay & Nguyen take away from it all. Please take a quick moment to read through this week’s write up. Please find NFN’s Take for the week of October, 23, 2017 thru the link provided. 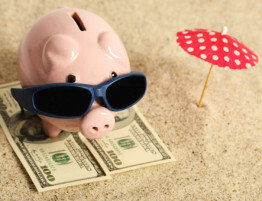 Should Vacation Pay Be Included In Average Weekly Wage? CAN THE JUDGE OF COMPENSATION CLAIMS ORDER THE EMPLOYER/CARRIER/SERVICING AGENT TO PAY MEDICAL BILLS? DOES THE JCC HAVE JURISDICTION TO COMPEL DISCOVERY AFTER A PFB IS DISMISSED?